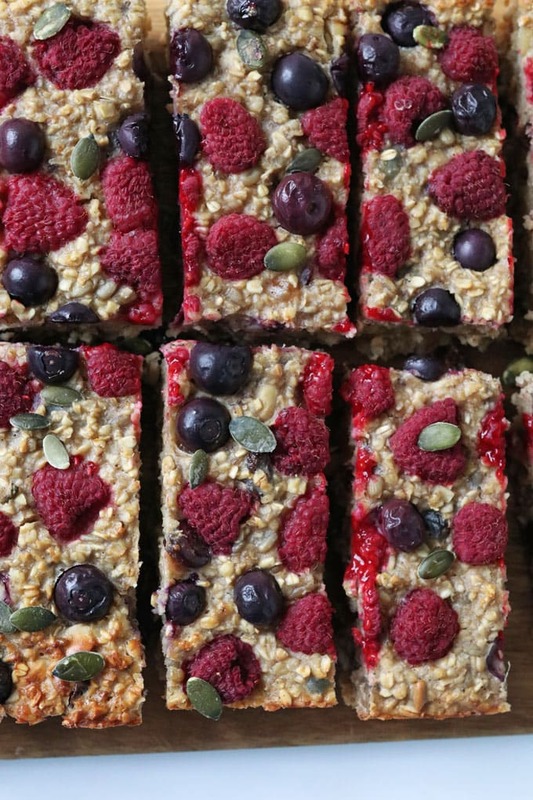 A delicious and healthy Breakfast Bar packed with oats, fruit, nuts and yogurt. 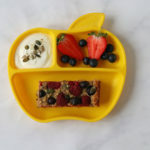 A really nutritious and filling start to the day for kids and adults too! We all know that preparation is key when it comes to having healthy and filling breakfast options available in the morning. 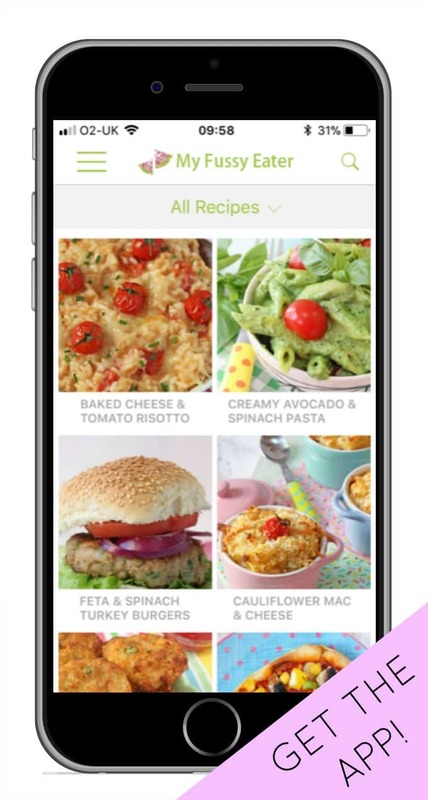 I love nothing more than a simple recipe that you can make ahead and keep in the fridge or freezer for busy mornings. 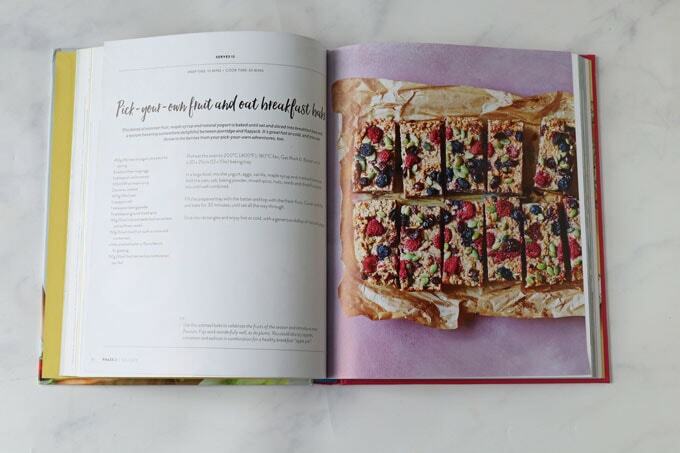 Today I’m sharing the recipe for these tasty Fruit & Oat Breakfast Bars from Emily O’ Leary’s new book How To Get Your Kids To Eat Anything. 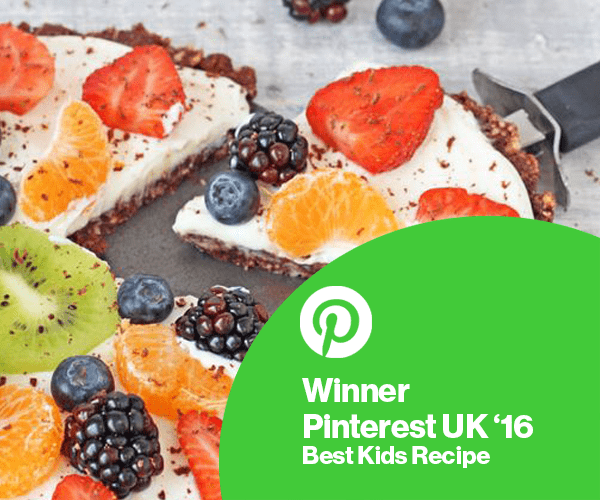 This recipe comes under Phase 2 – Educate, where you will teach your kids to experiment with texture and taste and understand where food comes from. 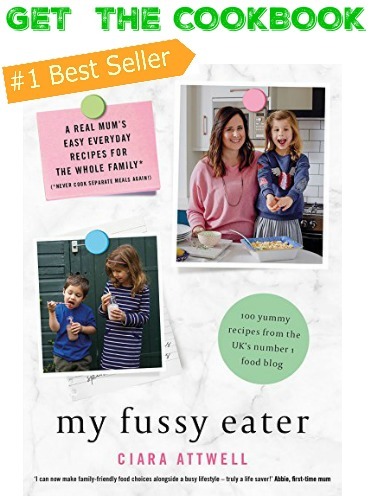 It’s also a great recipe to get the kids involved in making as it’s so easy. All the ingredients get mixed together by hand in one bowl. No complicated steps or fancy equipment needed! 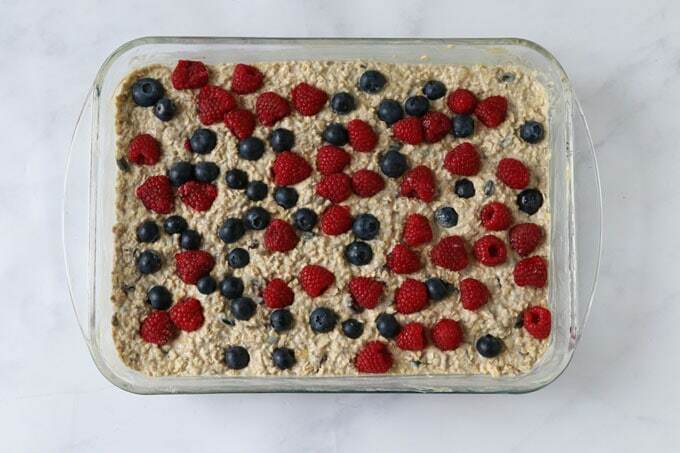 The mixture then gets put into a greased baking dish and topped with some fresh berries. It’s covered with foil and bakes away in the oven for 30 minutes. So quick and easy! Once cooked and cooled you can slice into 12 large bars and they are delicious eaten hot or cold. I popped a few into the fridge for the coming days and then froze the rest. To defrost I’ll simply pop them into the fridge at night and they’ll be ready to serve up in the morning. For a delicious and filling breakfast simply serve alongside a portion of yogurt and some fresh fruit. 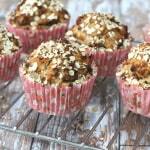 These would also be perfect for a tasty and healthy afternoon snack. If you want to send them to school or nursery then leave the nuts out. 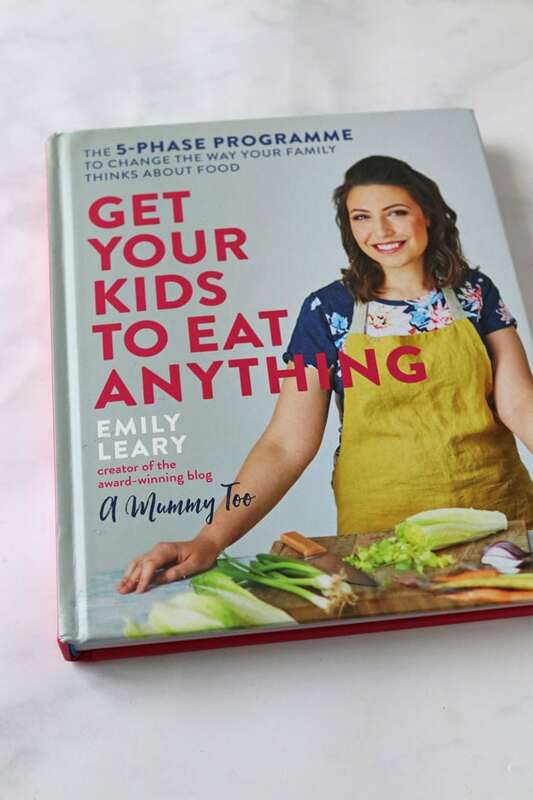 I hope you enjoyed the recipe and please do check out Emily’s book for lots more recipes and tips. 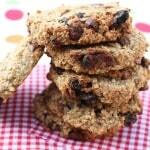 A delicious and healthy Breakfast Bar packed with oats, fruit, nut and yogurt. 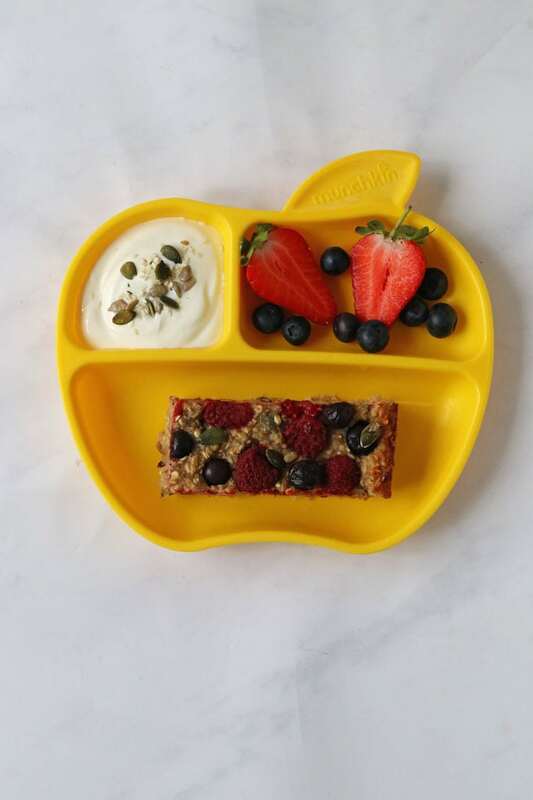 A really nutritious and filling start to the day for kids and adults too! Preheat the oven to 200c/180c fan. Grease a baking tray or dish (approx 12 x 10in) with butter or oil. In a large bowl mix the yogurt, eggs, vanilla, maple syrup and mashed banana together. 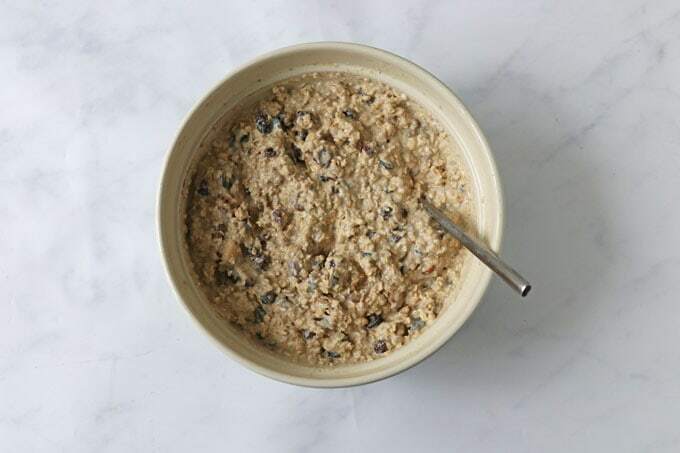 Add the oats, salt, baking powder, mixed spice, nuts, seeds and dried fruit and mix until well combined. 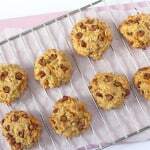 Fill the baking tray with the mixture and top with fresh fruit. Cover with foil and bake for 30 minutes until set all the way through. Cut into 12 slices and serve hot or cold. These bars will keep in the fridge covered for up to 3 days. They can also be frozen and defrosted in the fridge.